*** This post contains affiliate links and I will be compensated if you make a purchase after clicking on my links. I was compensated for this post, however, the opinions expressed are my own. Okay, so the excitement wears off and you start to feel overwhelmed with all the to-do’s, deadlines, DIYs, and mounting expenses! I always recommend to brides that they choose what is really important to them and focus their time, money, and energy on those details; delegate the tasks they don’t enjoy and allow the experts to do what they do best in the areas that the bride has little experience or not enough time to execute efficiently. One of the most important areas of the wedding experience is the stationery and paper goods. From the save the date to the formal wedding invitation, thank you cards to ceremony programs, name cards to menus, there are a lot of printed materials to consider! To establish a consistent theme, it’s helpful to establish a style that every paper element follows. While some brides are design-savvy enough to create their own thematic paper suite, others may benefit from purchasing pre-made templates that can be personalized to match the wedding theme and establish that stationery style that makes the whole event look pulled together! For the bride who is looking for something stylish, unique, and already created, I recommend Minted! 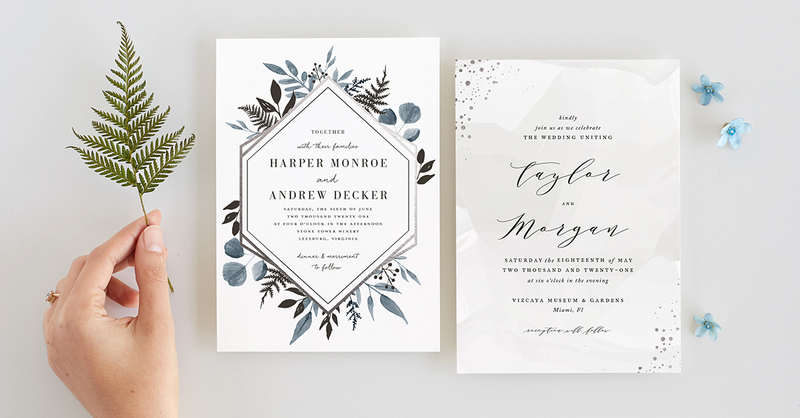 Minted has everything you need to bring your dream wedding to life through the unique designs featured from their community of independent artists. 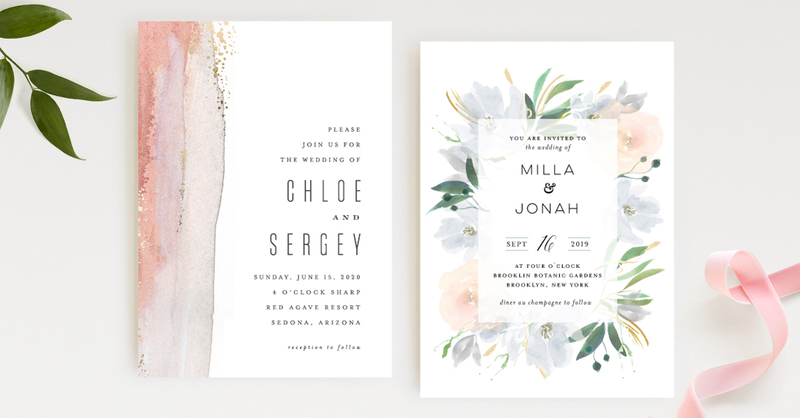 From save the dates to invitations, programs to table menus and even bridal shower stationery and rehearsal invitations, Minted has curated an amazing selection of paper goods in a variety of styles and formalities to suit any wedding theme. Not only do they offer the basic paper pieces you need, but your experience includes a dedicated designer who will go through unlimited design rounds to nail the perfect look, free samples and an introductory kit, a free wedding website that coordinates with your wedding invitations, and free guest addressing! Talk about value! Oh, and don’t forget that they also offer thank you cards for all those gifts you’ll receive and their selection extends to customizable art you can personalize to commemorate this special day! If you’re looking to extend your wedding experience to include custom monograms for both your stationery and other wedding decor elements, Minted also provides a new, free monogram maker! 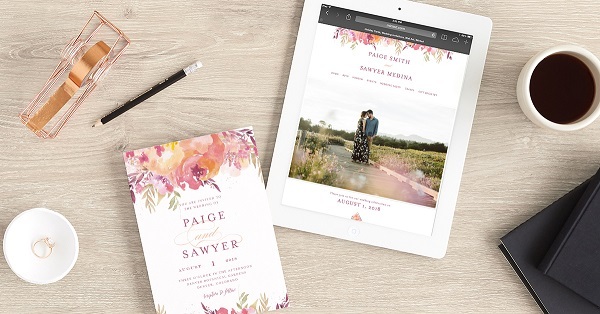 I love how Minted has expanded their initial offerings of art and stationery to make their website into a one-stop-wedding-shop for all those time-crunched brides! It couldn’t be more convenient – you can stationery shop in your pj’s, no appointment or scheduled time slot necessary! You may want to get browsing this weekend, though, to take advantage of their current promotion: take 15% off wedding orders of $250+, 10% off wedding orders of $150+, or 25% off save the dates with promo code WEDJULY. Hurry, the deal ends Monday, July 30! It’s simple to get started here by browsing their available wedding suites and see what catches your eye!